You are currently browsing the tag archive for the ‘Diggers’ tag. There was still everything to do – one saw that at a glance. But Ashley saw things differently from his father and grandfather. They had always had in mind a picture they had brought from ‘home’, orderly fields divided by hedgerows, to which the present landscape, by planning and shaping, might one day be made to approximate. But for Ashley this was the first landscape he had known and he did not impose that other, greener one upon it; it was itself. I am constantly amazed by this country and its incredible flora & fauna. I have spoken here before about how much I enjoy just sitting on the porch watching the birds. The other morning I found a number of baby Huntsman spiders in the house. Considering I have developed a sudden fear of spiders since coming here – well they’re bigger and poisonous unlike their European cousins – I found the little creatures surprisingly cute. However, a lot of Australia is also familiar. After all it was colonized by Britain over two hundred years ago and has kept pace culturally. Here I am on the other side of the world drinking Dr. Pepper. The two protagonists of this novel, Ashley and Jim, view Australia’s natural state as a privilege, its untamed landscape something that should be preserved. The two men are both descended from English colonists, yet divided by class. Still they possess an equal fascination for the land they think of as they own. Ashley encounters Jim during an afternoon ride through his ‘property’, and is inspired to hire the young man (though there are only three years difference between them) to identify the different species of birds who inhabit the area. He declares the land to be a sanctuary, a refuge for the wildlife that they find there, not to be tilled, shaped into gardens, or plots. While Ashley is a ‘to the manor born’, product of wealth, having studied in Cambridge and Germany and become accustomed to a life of leisure, Jim’s fascination with the land is the result of his desire to escape his violent father. Secretly he fears that he has inherited the family lust for violence. The monitoring of birds proves to be his dream job, a calming and meditative activity. Imogen Harcourt, a fellow naturalist, becomes the final piece of the trio, helping Jim catalogue the species of birds with her detailed photography. The second half of the novel disrupts this quiet sense of calm, with the call to war in Europe dragging both Ashley and Jim across to the other side of the world, the one to officer class, with his employee sent into the trenches around Armentières. The horrors of war transform Jim’s perception of the world. Where previously he could lose himself in the wonders of nature, his posting on the frontline causes him to envision a future defined by the industry of war itself. Everything free and natural that he loves will be so much collateral damage in the territorial conflicts of man. David Malouf’s writing is both poetical and elegiac in its descriptions of two men’s growing awareness of the transience of nature and human experience. Jim’s thoughts in particular are beautifully captured. Malouf even finds strange comedy amidst the chaos of war, with a German soldier earning the nickname ‘Parapet Joe’, for his habit of shooting his machine-gun to jazz rhythms. This is later followed by a stunning vision of the afterlife, with the Australian Diggers living up to their name for all eternity. 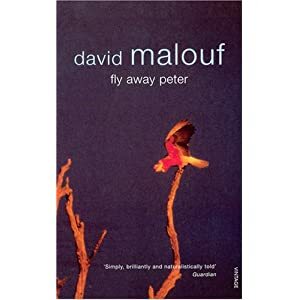 Malouf’s story is also one of ‘refugees’, with Imogen and Jim sighting a bird native to England that has made it all the way to Queensland. Whereas Jim thinks he has discovered a new species, to Imogen it symbolizes everything she has left behind. Jim and Ashley insist on they’re being ‘native Australians’, with Aboriginals appearing only briefly during the course of the novel. They do not realize how they themselves are refugees. When the war in Europe overtakes them it is only they fading memory of the beautiful landscape they have left behind that gives them hope. This is a delicately moving and beautifully phrased novel.